Firstly, I hope you all had a great start to this year. Mine has been a little on the bankrupt side, thanks to the irresistible discounts & sales going on. I am sure you all would agree to this! So, bringing in the first post of 2017 by going back to roots with an outfit & style that defines me the most. 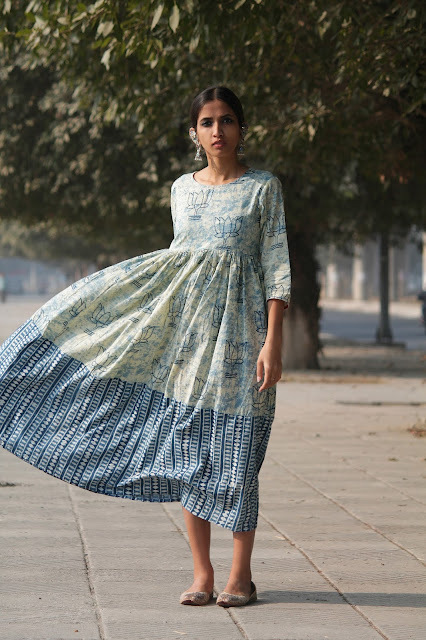 And since the weather God seems to be too confused with winters this year (or may be it is just Global Warming), I got to avoid them heavy layers & just play around with flowy garments, beautiful prints & more.